About Us - Capstone Consulting, Inc.
Capstone Consulting, Inc. was founded in 1998, in response to the increasing demand for quality Oracle consultants. Our customers are using software solutions designed and developed by Capstone for enhancing their business processes and lowering operational costs. Capstone has serviced clients in various sectors of the workplace: state government, consumer products, public service and non-profit organizations. We have been successful in presenting companies with the opportunity to create a much more robust environment through outsourcing to Capstone. We become part of your team and your corporate culture allowing the outsourcing experience to provide a level of security and redundancy. We augment your team thus augmenting your success. The key: integrity, skills and dedication. Capstone Consulting, Inc. is a Maryland corporation located within the Baltimore Metropolitan area. 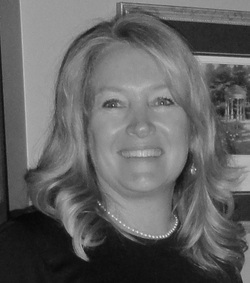 Kim Nupp, Founder and President, is a highly skilled and experienced consultant with over eighteen years in the information technology industry. Her experience with a wide variety of business entities allows her to bring innovative and cost effective solutions to the table. She is an enthusiastic initiator that has the innate ability to capture the vision of a project within the first few meetings and build momentum and excitement for that vision. During her tenure as a consultant, she has acted in many diverse roles, including Project Manager, Business Process Engineer, Business Analyst, Database Administrator, Designer (Architect), Developer (Programmer), Tester, Trainer, Implementor, Troubleshooter and Mentor. Kim has been an Oracle Instructor at UMBC’s Training Center and a mentor for the 2004 Computer Mania event sponsored by UMBC’s Center for Women in Technology. These qualities make her an emergent technical specialist. Capstone understands that people make businesses successful, not technology. To this end, our mission is to treat our own employees with the respect they deserve as information technology professionals. That same respect is extended to our clients: you are the reason we exist. Our partnership approach ensures that client personnel have an opportunity to share their expertise and grow with us as the project grows. In this way, we deliver solutions to our customers and not just software. Through a long-term commitment to this mission, we will be known as a company that provides an essential information service with utmost integrity. Our customers, vendors, and employees see Capstone Consulting, Inc. as offering quality and cost-effective services in the Information and Computer Industry.